Seriously, try it out. The Google app on certain Android smartphones will show your personal text messages in Search! Call it weird but typing "the1975..com" in the Google app on certain Android smartphones will show your personal text messages in Search. 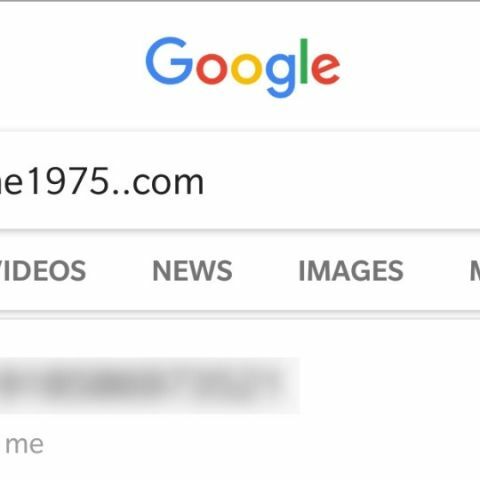 The glitch was discovered by a user on Reddit who was trying to search for the band 'The 1975' and accidentally typed 'the1975..com' in the search bar on the default Google Pixel launcher. As a result of the Google Search, the user's SMS messages were displayed on the screen as if they were Search results. 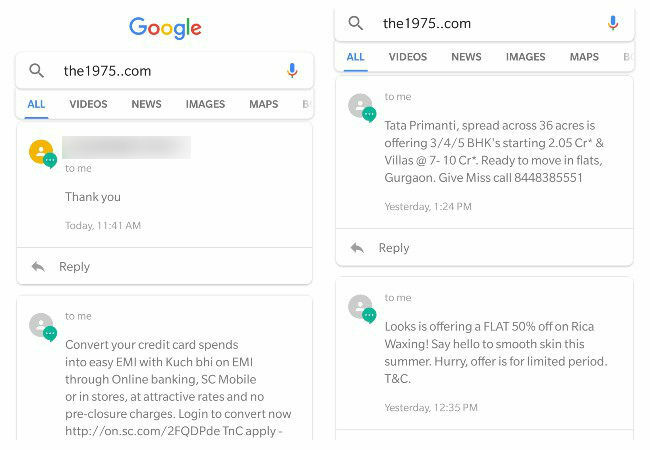 "For some unexplained reason when I type in 'the1975..com' (specifically with two periods) into my search bar on the default pixel launcher it displays my recent text messages through Google," the Google Pixel owner wrote. According to media reports, the glitch in the Google app on Android devices - especially OnePlus, Samsung, LG, and Huawei -- has left several users baffled. We tried the same on a OnePlus 5T and the glitch exists indeed. The messages also will only appear in the app if the user has given permission for the Google app to access SMS messages, the report said. "It's like just about the weirdest glitch I have come by," the Reddit user posted. "Is this combination just a super random coincidence or is there something else going on?" Google is yet to comment on this, while other Reddit users said they got the same results when searched for "Vizela viagens" (a travel agency).